A Christmas Carol By Charles Dickens A Christmas Carol is a novella by Charles Dickens, first published in London by Chapman & Hall on 19 December 1843. The novella met with instant success and critical acclaim. 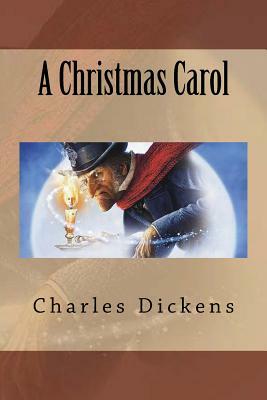 Carol tells the story of a bitter old miser named Ebenezer Scrooge and his transformation into a gentler, kindlier man after visitations by the ghost of his former business partner Jacob Marley and the Ghosts of Christmases Past, Present and Yet to Come. The book was written at a time when the British were examining and exploring Christmas traditions from the past as well as new customs such as Christmas cards and Christmas trees. Carol singing took a new lease on life during this time. Dickens' sources for the tale appear to be many and varied, but are, principally, the humiliating experiences of his childhood, his sympathy for the poor, and various Christmas stories and fairy tales. Dickens' Carol was one of the greatest influences in rejuvenating the old Christmas traditions of England, but, while it brings to the reader images of light, joy, warmth and life, it also brings strong and unforgettable images of darkness, despair, coldness, sadness, and death. Scrooge himself is the embodiment of winter, and, just as winter is followed by spring and the renewal of life, so too is Scrooge's cold, pinched heart restored to the innocent goodwill he had known in his childhood and youth. A Christmas Carol remains popular-having never been out of print-and has been adapted many times to film, stage, opera, and other media. We are delighted to publish this classic book as part of our extensive Classic Library collection. Many of the books in our collection have been out of print for decades, and therefore have not been accessible to the general public. The aim of our publishing program is to facilitate rapid access to this vast reservoir of literature, and our view is that this is a significant literary work, which deserves to be brought back into print after many decades. The contents of the vast majority of titles in the Classic Library have been scanned from the original works. To ensure a high quality product, each title has been meticulously hand curated by our staff. Our philosophy has been guided by a desire to provide the reader with a book that is as close as possible to ownership of the original work. We hope that you will enjoy this wonderful classic work, and that for you it becomes an enriching experience.